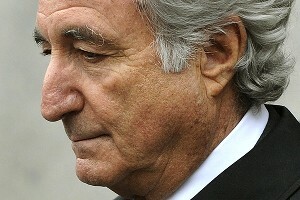 Bernard MadoffNEW YORK -- The trustee who is recovering money for victims of Bernard Madoff's Ponzi scheme announced Monday another round of distributions of recovered funds had begun. And that helps the Mets' owners, the Wilpon family. Eligible victims of the Ponzi scheme now have recovered 48.802 cents for every dollar of principal they lost in the Madoff affair. As part of the Wilpons' settlement with the trustee, the sides stipulated that the Wilpons lost $178 million in certain Madoff funds, while making $162 million from other funds. The Wilpons can deduct the 48.802 cents per dollar from their funds with principal losses from the $162 million eventually owed to the trustee. One hundred and sixty-two million owed, minus 48.802 percent of $178 million lost, yields the actual payback to the trustee. So the Wilpon family, businesses and charities right now would owe the trustee $75,132,440 -- divided into two installments, and payable in 2016 and 2017. That obligation may further decrease as the trustee recovers more funds for all victims.